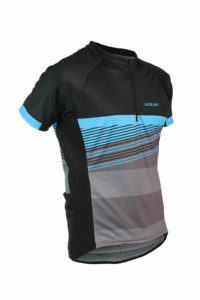 With summer fast approaching and temperatures creeping back up, I’m finding myself in need of a cycling wardrobe revamp. Most of my jerseys are worn to threads, so I decided to cruise online for some new apparel. I’m pretty active on my Pinterest page where I curate a page title Cycling Apparel. Here, I post pictures of jerseys that catch my eye. I started my online search for some new garb here and quickly discovered that buying a new cycling wardrobe would cost an arm and a leg. Buying just 5 new jerseys would easily set me back $500. Therefore, today’s post is for the savvy shopper who would like to refurbish their cycling dresser drawer without going into debt. 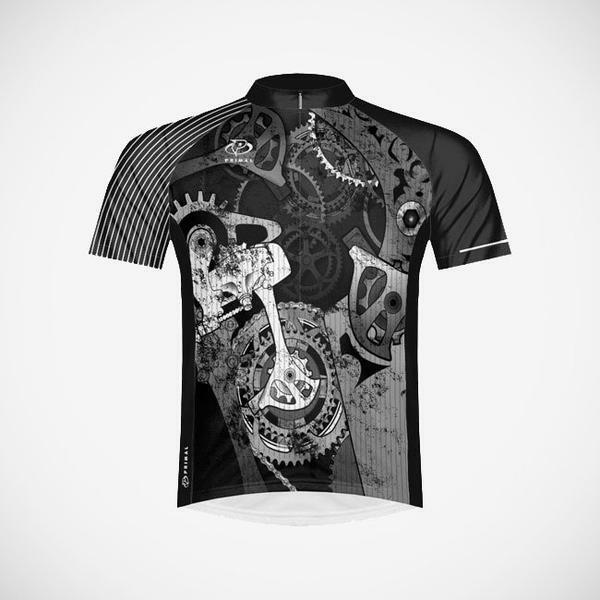 I searched and found ten good looking short-sleeved cycling jerseys for $50 or under. You’re welcome! 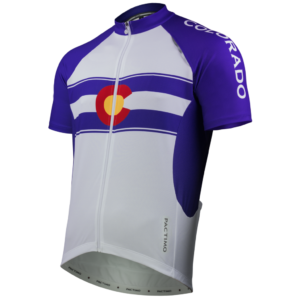 $27 – Departed Men’s Cycling Jersey: This jersey is currently on sale from $70 and brags fantastic moisture management for any bicycle rider. It features a thin pinstripe along with a sharp black and white design. 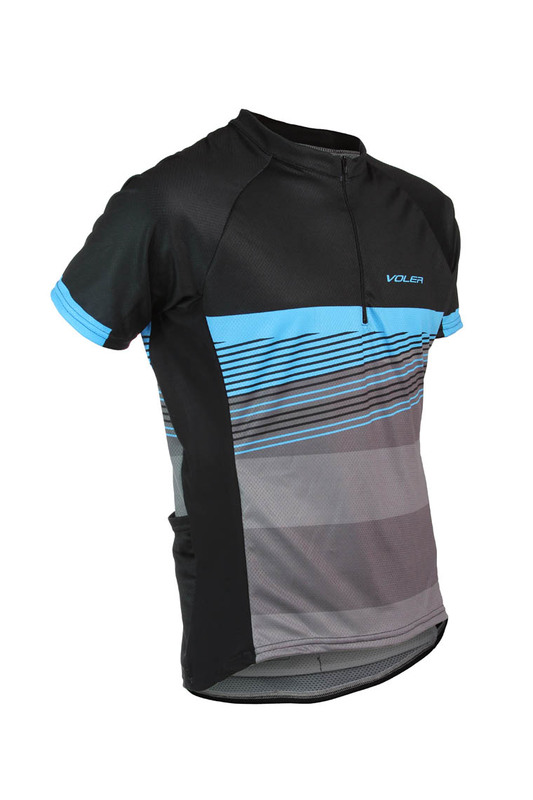 $29.00 – Avanti Men’s Cycling Jersey: Although simple, this jersey has a 5-star review on voler.com and has reflective logos for excellent visibility on the road. It’s made from 100% microfilliment polyester for breathability and durability. 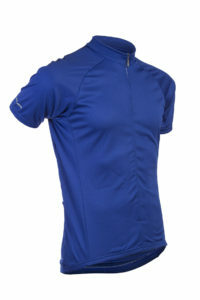 Furthermore, it has a quick-drying feature a UPF 28+ rating for protection under the sun. $30.00 – Colorado Tour Jersey: The Colorado Tour Jersey advertises itself as the jersey “for riders who prefer a more relaxed garment but want all the features included in race-fit apparel.” It features a full-length zipper and a silicone waist gripper/fabric neck tape for comfort. 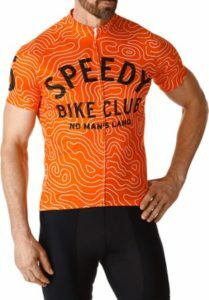 $41.83 – Twin Six Speedy No Man’s Land Bike Jersey: This good looking jersey, originally $85, is good for both road and trail riders looking for a nice bold and graphic print. It has 3 back pockets, a full-length hidden zipper, and fits between a slim Euro cut and a looser-fitting American cut. $49 – Switchback XC Jersey: Finally, the Switchback jersey offers 4 back pockets including a handy “stash” pocket for smaller items, mesh side panels, Genesis Fabric, loose openings, and a durable chest zipper. It’s available in blue (shown below), green, or grey. And there you have it! My hope is that this list will give riders on a budget some options to purchase some nice looking jerseys for the upcoming spring and summer seasons. Best of luck to you all, and as always, happy riding!